The vital energetics of Spring are pulsating strongly here in the wooded hills today. I was awoken way before dawn and the song of the birds by full throttle creativity. A bounty of ideas flooded my mind, lifting me out of bed and running to the studio for a pad of paper. 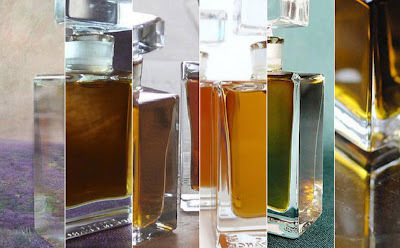 Above is a botanical perfume mood board for you created with photos of my flacons, Happy Monday!